Sometimes, all we want to feel is that we matter. Our work goes unnoticed, our family forgets us and our friends sometimes expect more of us than what we are able to give. Next to happiness and satisfaction, what I have found most in my journey is that people are looking to be acknowledged, and loved. That may actually be a part of happiness and/or satisfaction but generally I find it separates itself somewhere between Italy and Switzerland. Sometimes as Christians, we are guilty of misinterpreting the “I must decrease and he must increase, “it’s all Him and none of me,” or “I must totally empty myself of myself” way of thinking. Yes these things are all true, even for people who are not Christians but subscribe to a servant’s lifestyle of doing things for others, but sometimes we forget about ourselves in the process. There is a fine line between the two, not so much for the desire of accolades but for the desire to be acknowledged and loved for what and who we are. I pondered this thought as I stared at a picture on the wall of the Matterhorn, a mountain of the Alps bordering Switzerland and Italy. Oftentimes referred to as “The Mountain of Mountains,” many have tried but miserably failed to climb to its summit. There is in fact a cemetery somewhere near the bottom which serves as a constant reminder of those that have tried the climb and lost their lives. The cemetery features memorial plaques and the graves of approximately fifty climbers that have made the attempt. 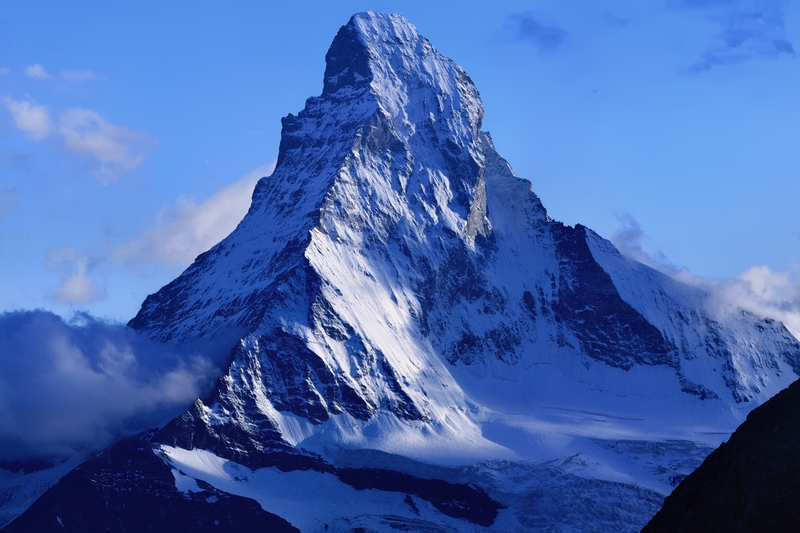 The “Grave of the Unknown Climber” is also located in the Mountaineers’ Cemetery which serves as a memorial to the more than 500 deaths which have taken place on the Matterhorn since 1865 as well as the missing and dead, who could not be found or completely removed after their fall. I don’t know what makes a man feel the need to risk his live to conquer the summit in a physical sense, but I can imagine that many of us understand it in our spiritual beings. We desire the accomplishment, the journey and hope that someone, anyone may be watching. In our basic humanness is our need to be loved. Without divine love, we search for that in other places. Most of us operate in the temporal, from this to that. But eventually, like most of the climbers of the Matterhorn, we ourselves aren’t able to sustain the journey on our own. You may feel like you’re climbing a mountain in order to gain the love that you need. It may not manifest itself in the physical journey, but it certainly does in the emotional one. We are part of the “look at me!” culture and all get swept away by the need for acknowledgment. But when our souls are truly married to the creator of the universe, we are able to find that acknowledgement in Him alone. If you’re climbing the mountain, it may be time to find a sherpa. Yes! Great title for a post!! !